A male donkey is called a ‘Jack’. 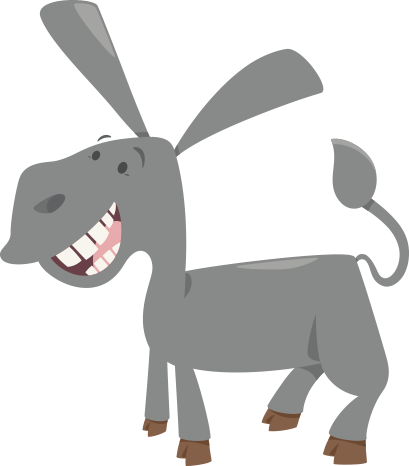 The donkey has been used as a working animal for at least 5000 years. There are more than 40 million donkeys in the world, mostly in under developed countries, where they are used principally as draught or pack animals. 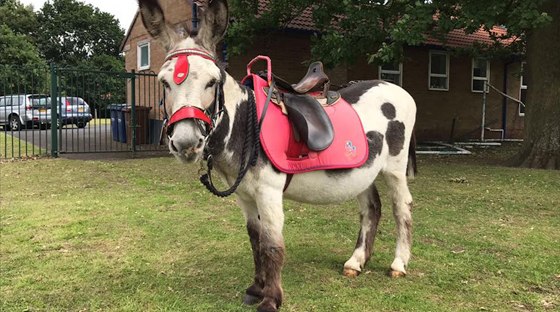 Working donkeys in the UK commonly do rides for children at the seaside. Small numbers of donkeys are kept for breeding or as pets in developed countries. The loud call or ‘bray’ of the donkey, which typically lasts for twenty seconds and can be heard for over three kilometres, may help keep in contact with other donkeys over the wide spaces of the desert. Donkeys have large ears, which may pick up more distant sounds, and may help cool the donkey’s blood. Origin: All around the world. Longevity: Donkeys years! (over 50 years). Weight: They weigh between 100 and 500 kilos. Size: Can grow from 7hh to 15hh. 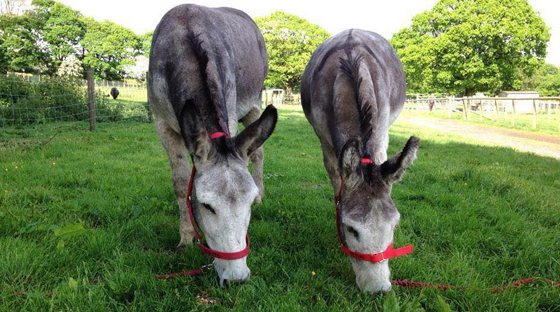 Diet: Donkeys are herbivorous animals that participate in grazing activities. They love grass. Treated with mints and carrots. Gestation: A Jenny is normally pregnant for about 12 months, though the gestation period varies from 11 to 14 months, and usually gives birth to a single foal.